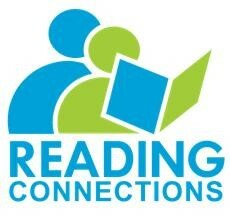 Find out what is happening at Reading Connections this month! Reading Connections invites you to join us in celebrating National Adult Education and Family Literacy Week. 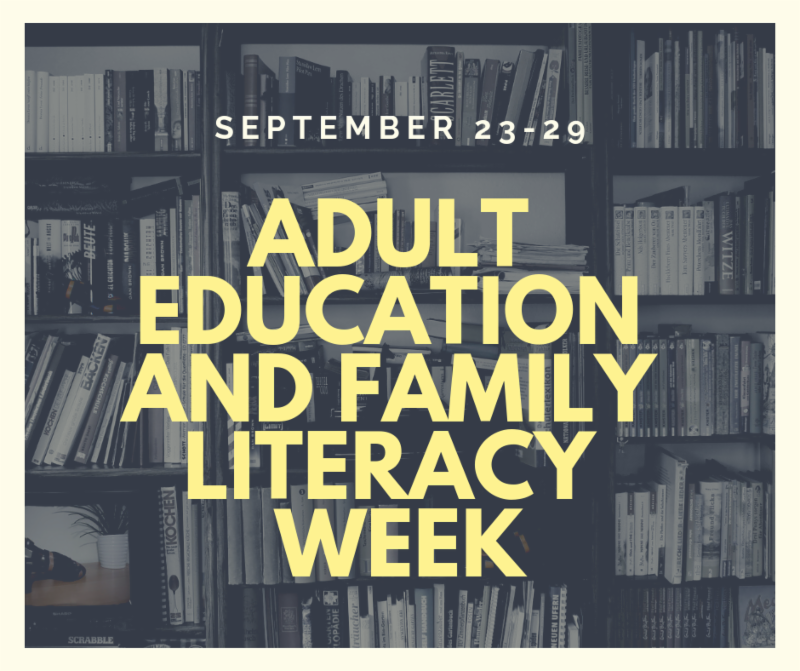 This week of September 23-29 heightens public awareness, strengthens alliances, leverages resources, and increases the number of people who understand the vital role adult education and family literacy plays in our communities. ﻿Please help us raise awareness and support for Reading Connections by visiting our Facebook page , sharing our literacy information posts with friends, and/or making a tax-deductible donation. You can even click here to find out how you can create your own Facebook fundraiser to benefit Reading Connections. Every donation we receive will impact the lives of our students and their families. 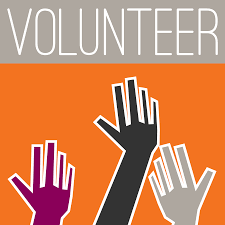 If you are interested in volunteering or becoming a tutor, please call us at 336-230-2223. Thank you for your support! Jonathan spoke very little English when he moved to the United States from Vietnam five years ago. As an employee at Horizon Tool Inc., he struggled to communicate effectively with his supervisors and coworkers. When his employer partnered with Reading Connections this summer to provide English classes to employees, Jonathan immediately signed up. 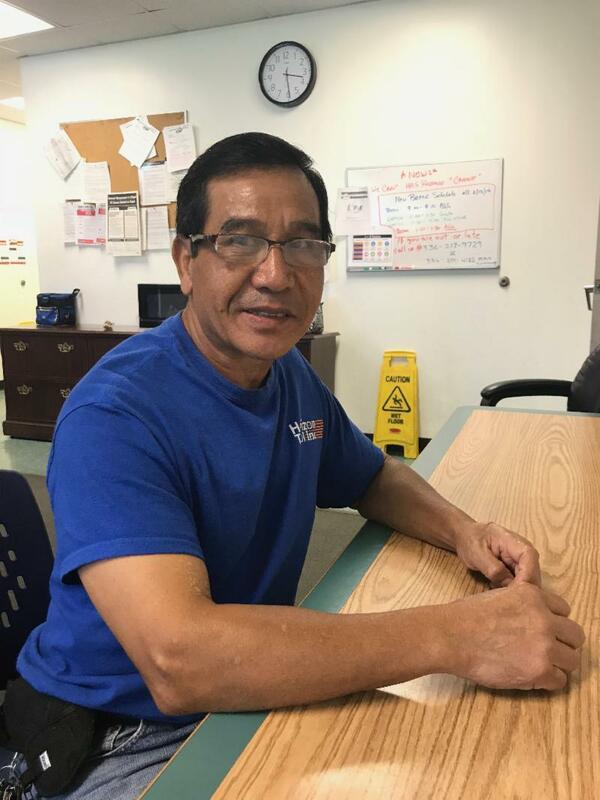 Jonathan is just one of the 22 employees enrolled in English literacy classes taught by Reading Connections at Horizon Tool in Greensboro. These classes are unique because they are held on-site at the students’ place of employment during business hours. Employees with limited English proficiency meet for one hour, four times a week with a Reading Connections tutor. Students learn vocabulary, practice speaking, and complete a variety of contextualized literacy activities designed to improve their ability to communicate in and out of the workplace. The Family Literacy Program at Rankin Elementary is currently underway. We are excited to be serving the 20 parents and over 30 children enrolled in the program, and we look forward to the fun and educational experiences families and instructors will share together. Faces beaming, children excitedly returned to the cafeteria for Parent and Child Together (PACT) Time Thursday night, eager to tell their parents about all the fun activities they completed in their classes. One parent, Andrea, explained to me that her four-year-old daughter Aubree refers to the Family Literacy Program as “the party” and asks her mother every day after school if they are going to “the party.” Needless to say, Aubree is ecstatic when Tuesdays and Thursdays come around and is sad when it’s time to leave at the end of each evening. This week, parents and children were introduced to Peter’s Chair by Ezra Jack Keats, a story that addresses the changes a family experiences when a new child is born. Peter, the main character, feels like his sister is replacing him, until he comes to the realization that he has grown out of his baby things—including his chair—and is ready to pass them on to his new baby sister. Child classes and adult classes alike engaged in discussions of the book’s themes and made connections to their own lives. Younger children created origami chairs, and older children made chairs out of popsicle sticks to share with their younger siblings. I am truly grateful to the Reading Connections’ Board of Directors and staff for the time away to refresh and refocus. I always feel blessed to be a part of Reading Connections, but this gift made me feel doubly blessed. I am especially grateful to Jean Pudlo for pulling double duty and covering my most essential tasks. My time of refreshing meant extra work for her which she handled with diligence and grace. Her service made this time away a reality. I would also like to give a special thanks to Kem Ellis who served as a volunteer to provide leadership to staff and support to Jean. Kem defines servant leadership. Thank you to our Board leadership for extraordinary commitment and work to ensure the growth of this agency, and to our staff for the day-to-day grit it takes to keep doing outstanding work! This year was a banner year with 59% of post-tested students advancing a literacy level – I am inspired by the commitment of our students, instructors and tutors who achieved this feat! I returned to work on September 4 and found a healthy, sound, well-functioning agency carrying on with the wonderful work at hand. 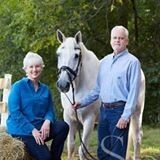 My time away allowed me the space to spend more time with the horses which naturally led to becoming grounded and centered in my non-working self. Hopefully I am bringing this centered self to work now, with an appreciation for all the good that we do and a better sense of the relative importance of all things great and small. It’s good to be back! Join us on Tuesday, October 9 for a fantastic ABE supplemental training led by Kathy Dunn! There are two training options available: 1pm-3pm or 5:30pm-7:30pm. We will meet in the 8th-floor conference room of the Self-Help building, located at 122 North Elm Street in Greensboro. This training will prepare you to use engaging Mini Reader books to support your student(s). 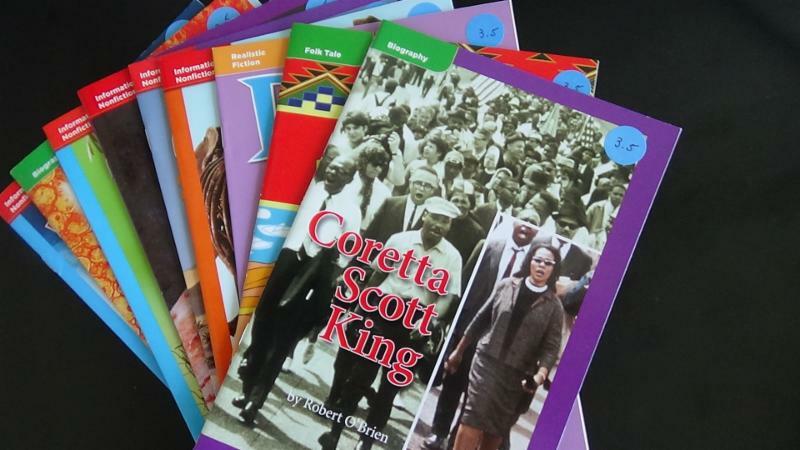 The fiction and non fiction Mini Readers can be used with Toolkit 1B, 2, 3, and 4 and come with a few ready-made lessons. On Levels 2, 3 and 4 we have several hundred titles to choose from. Some of the materials will work with students who are on a middle school to high school level that need background information in the areas of US social studies and science and those with similar goals working towards a GED. In training, you will learn how to identify the level your student needs and how to do in depth planning. Training is required in order to check out and use these books. Please contact our main office at 336-230-2223 or email us at info@readingconnections.org to register. 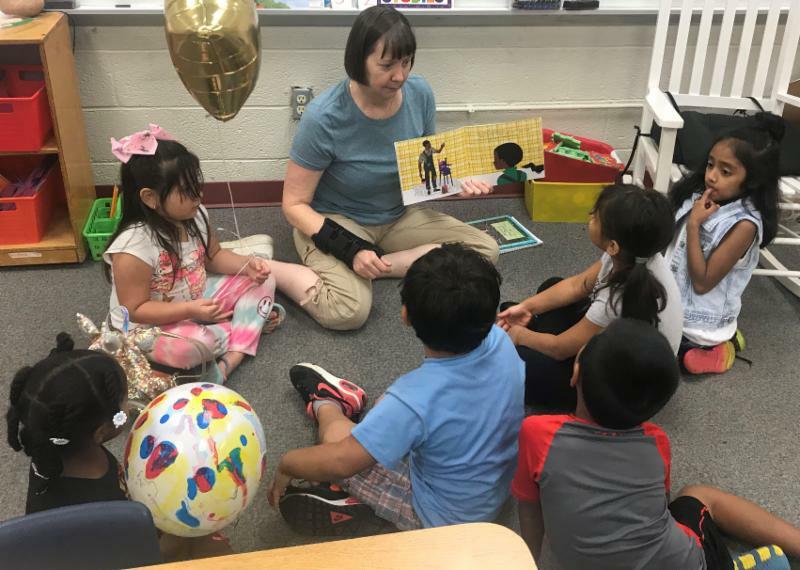 Reading Connections received an $18,000 grant from Lincoln Financial to support its Family Literacy Program. “Reading Connections is honored to receive this grant for our Family Literacy Program,” said Family Literacy Manager Alison Welch. “This generous contribution will enable us to continue to provide adults and children with high-quality literacy instruction. We will be able to share a meal with families each night of the program, as well as send families home with a children's book each week, encouraging parents and children to share the love of reading as a family." 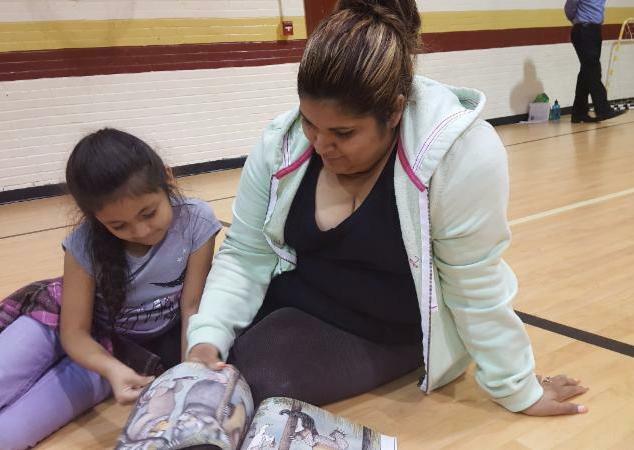 The Family Literacy Program provides Guilford County parents with the tools and techniques they need to learn how to be their child's first teacher. Parents receive basic literacy and parenting instruction using the Motheread® curriculum and materials, a research-based, learner-centered approach that integrates early literacy with adult literacy instruction and parenting education. Literacy skills are taught in the context of a weekly children's book. My name is Zach Smith, and I serve as the 2018-19 North Carolina Literacy Corps AmeriCorps member at Reading Connections High Point. From a young age, the idea of community, and togetherness was instilled in me by my parents. 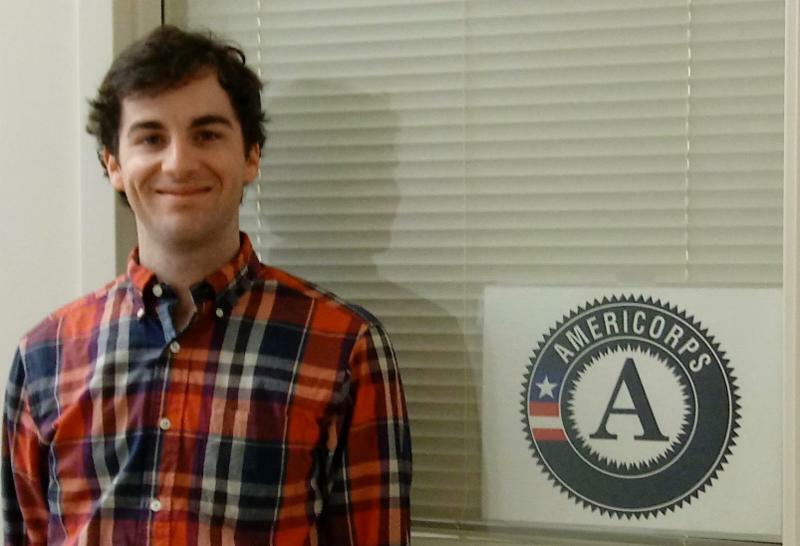 The belief in the importance of community they instilled in me encouraged me to join AmeriCorps. I feel privileged to serve at Reading Connections, an organization that strives to provide leaners with skills which can provide them with opportunities to succeed. I am excited for this experience, and hope to learn more about serving populations in need and providing services to others. 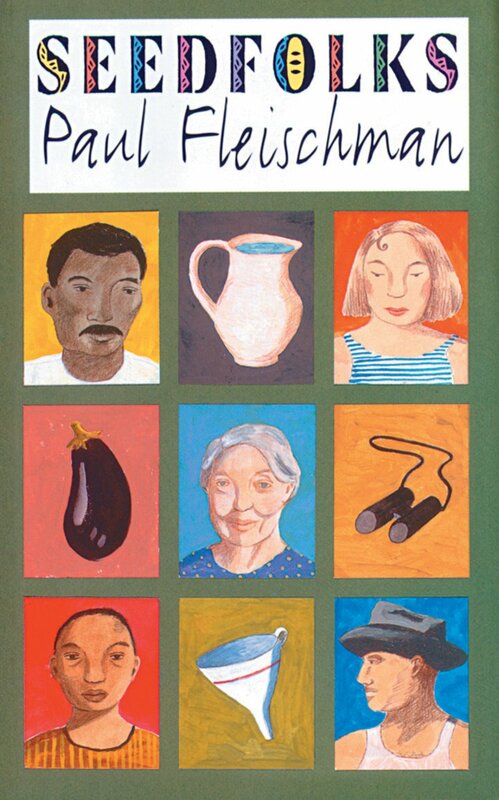 Students and tutors continue to enjoy High Point Library's 2018 Community Read of Seedfolks by Paul Fleischman. Many of our classes have been reading the book and attending community events together. One of our High Point tutors, David Rich, has created his own materials to help his students improve their spoken English, reading comprehension, vocabulary, and advanced grammar skills. 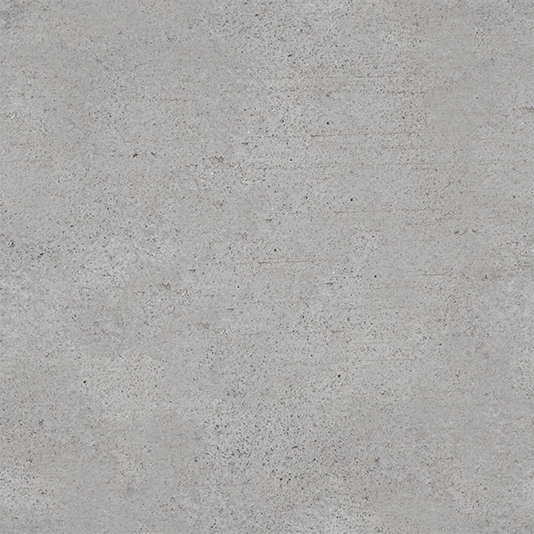 Click here to see an example . In addition to detailed worksheets, David has expertly used graphic organizers and technology. He encourages his students to watch and listen to specific Youtube videos where they can hear a chapter of Seedfolks read aloud. His students are always enthused about class, and they have already reported improved conversation and comprehension skills. For more information about the Community Read and how you can get your students involved, contact us at info@readingconnections.org. The Joseph M. Bryan Foundation has awarded Reading Connections with a $20,000 grant award to fund our detention center literacy program. "The Detention Center Literacy program is grateful for the support of the Bryan Foundation," said Detention Coordinator Chevella Wilson. "The funds aid volunteers as they prepare offenders for their next steps. Several participants have stated their intentions to enroll in programs while in prison and hope to re-enter society literate with better job skills." We provide literacy and math instruction to about 60 incarcerated males at the Greensboro Detention Center each year. Click here to learn more about this program and to find out how you can volunteer.